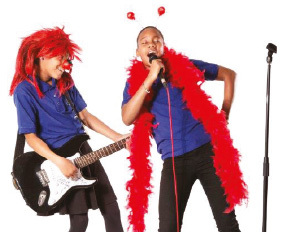 With Red Nose Day coming up on Friday 24th March, we’ve teamed up with Comic Relief to help our young people make their laugh matter and change lives. Red Nose Day is all about our power to make the world a better place, simply by having a great time. From bake sales and fancy dress to talent shows and surreal sponsored challenges, it’s time to put the fun into fundraising! What’s special about Comic Relief? Comic Relief aims to create a just world, free from poverty, in which everybody is safe, healthy, educated and empowered. By raising money this Red Nose Day, your Company will be helping to give extremely vulnerable and disadvantaged people in the UK and across Africa a helping hand to turn their lives around. Just 70p could pay for life-saving treatment for a child diagnosed with malaria. £4 could fully vaccinate a child against five deadly childhood diseases. £25 could buy enough seeds for six orphaned young farmers to start growing watermelons for a sustainable income. £100 could pay for a year’s apprenticeship for a young person living on the streets of Kenya. £150 could provide a family living and working on a rubbish dump in Sierra Leone with a business start-up grant and a year’s accommodation so they can start a new life. 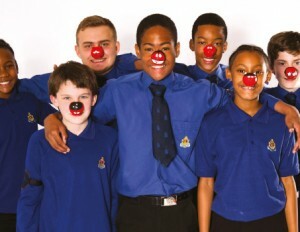 This year’s Red Nose Day partnership between Comic Relief and The Boys’ Brigade has developed following great success in Sport Relief 2016. The target for this year is for each Company to raise £100. To help with your fundraising efforts, Comic Relief has produced a poster and planning tool especially for The Boys’ Brigade and will be reporting on how much is raised throughout the campaign. And remember – it’s not just the projects supported by Comic Relief that will benefit from your fundraising efforts. By organising and taking part in events, your young people will develop vital skills; everything from planning and teamwork to marketing and communication. Plus it’s a great way to make links with the local community and other organisations. A personal story of a young boy whose life has been changed immeasurably as a result of Comic Relief’s work. Peter fled home when he was just 11. No longer able to bear the regular beatings of his abusive father and step-mother, he jumped on the back of a trailer truck and travelled for two hours to Kisumu, Kenya’s third largest city. Thanks to a project called HOVIC, Peter and his friends have somewhere safe they can go. 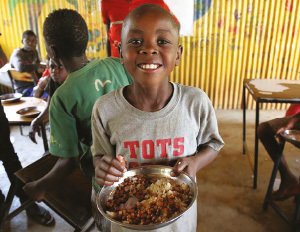 It uses money raised through Comic Relief to provide vulnerable children like Peter with food, shelter, education and other vital support to help get them off the streets. Make it a team effort. Talk to the whole Company about ideas for fundraising activities. Consider enlisting a particularly enthusiastic bunch to take the lead on planning and running activities. Involve parents and the local community. Invite parents to help out with and, where possible, take part in activities. If you’re organising a fundraiser such as a sponsored event or show, why not ask the community to join in? It can be a great way to raise your Company’s profile, make new friends locally and raise more money. Think about how you’re going to raise money. There are three main ways to raise money through fundraising activities. You can ask for donations to do something, for example take part in a competition or tell jokes. You can sell things – from cakes and Red Noses to tickets for a talent show. Or you can collect sponsorship for challenges such as a joke-a-thon or a dance-a-thon. The more innovative the challenge or activity, the more excitement it will generate and the more money you’re likely to raise. Communicate effectively. The best-laid plans will fall flat if you don’t tell everyone what’s going on! Keep parents informed through newsletters and social media. If you’re planning something big, why not contact your local paper to see if they can send along a photographer to capture the excitement? Hold a Red Nose Day show. This year youth groups around the country are going to be having loads of fun and raising lots of cash by staging their very own show. What would your young people enjoy the most? A talent show where they have the chance to sing, dance, make music and magic? Or a comedy show full of jokes and laughs – a perfect fit for Red Nose Day! Either way, there are loads of resources available to help you.